Home » india news » Cheap & toxic khesari dal: is this govt's solution to India's pulse problem? Under fire for rising dal prices, is govt bringing back toxic khesari dal just because it's cheaper? Why is the govt trying to remove the ban on khesari dal? How safe is the dal? Who is opposing the removal of the ban? Is the Narendra Modi government trying to tide over the dal crisis by bringing back a health hazard that has been banned for over five decades? That's what seems to be happening with respect to khesari dal, a pulse that was banned in 1961 by the Jawaharlal Nehru government. 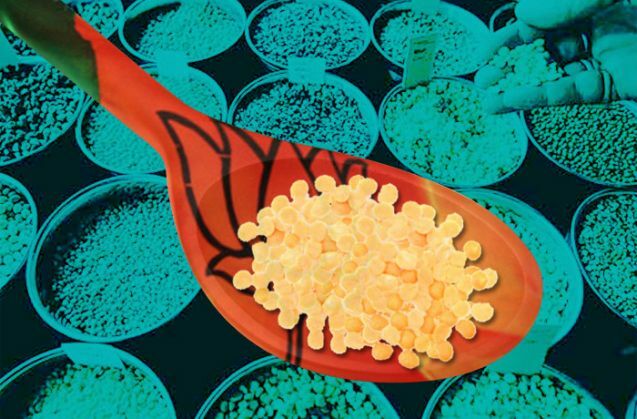 The deadly dal might be back on your plate soon as the Indian Council for Medical Research (ICMR) has reportedly proposed to the Food Safety and Standards Authority of India (FSSAI) to lift the ban. The legume was banned in 1961 nearly throughout the country after several cases of a neurological disorder called lathyrism were reported after its consumption. The disorder causes paralysis in legs. Khesari dal, also known as grass pea and chick pea, is a type of dal that can grow very well and give bumper yields even in drought-like conditions. It is said to be able to grow without any input other than the seeds and is used as animal fodder. It also sells much cheaper than any other dal, suspected to be the main reason behind these attempts at bringing it back. Dal prices continue to sky-rocket in the country, with the staple arhar dal selling at Rs 200 a kilo in the national capital. Reports suggest that a research panel led by the ICMR has cleared its consumption. The ICMR is the apex body in India for biomedical research and is funded by the the Department of Health Research, Ministry of Health & Family Welfare. Its Governing Body is presided over by the Union Health Minister. The good news is still might be some time before it receives a final green-signal to hit the markets. FSSAI CEO Pawan Kumar Agarwal has reportedly said khesari dal will have to go through rigorous tests before it is cleared, given that it was banned for decades on safety concerns. The bad news, however, is that the government is not being open about it and appears to be stealthily going about the process of bringing khesari dal back. There have been no announcements whatsoever by the agriculture ministry and even the FSSAI (of the Maggi-ban fame) has reportedly not been honest about whether it has given clearance or not. An RTI query by The Indian Express led to the revelation, giving fodder to the Opposition parties to slam the government. Ahmed Patel, Congress MP and political secretary to party chief Sonia Gandhi, tweeted about it on 18 January. Congress spokesperson RPN Singh followed it up, accusing the government of "playing with the health of crores of unsuspecting Indians" by introducing khesari dal. Singh also asked whether the government had exercised "due diligence of ample research, scientific evidence" and held "public consultations before taking this decision". He also specifically raised the issue of the government not having "informed the public that the ban has been lifted". "Why are we getting the information from RTIs and media investigations?" Singh inquired. Since only khesari dal's sale was banned and not cultivation, farmers continued to grow it at many places. It is still said to be cultivated over almost one million hectares in states like Chhattisgarh, Madhya Pradesh, Bihar, Jharkhand, Maharashtra, Odisha, Assam, West Bengal and eastern Uttar Pradesh. If it is grown, why will it not be sold? Not caring much for the ban, traders are believed to widely buy it directly from farmers and mix it with products like gram flour (besan) and even pigeon pea (arhar) before sale in the open market. In fact, media reports had claimed in November 2015 that such adulteration was rampant in the National Capital Region. There is a debate in the scientific community over the safety of khesari dal. A report in the Indian Journal of Medicine, published in July 2013, had claimed that the dal was "harmless as a part of a normal diet" and could even become a "prized commodity" for cardiovascular care. However, the Indian Institute of Toxicological Research is reported to be of the opinion that khesari dal's consumption is "not safe". FSSAI's Scientific Committee is also said to have noted that incidences of lathyrism were reported from areas where the dal was consumed. The Hyderabad-based National Institute of Nutrition has also reportedly conducted a study and found that "abnormal effect" was recorded on goats that were administered the toxin produced by khesari grains. Dal-shortage in the country and the resultant dependence on huge imports is indeed a serious crisis. Policymakers as well as agricultural scientists have been grappling with the issue for several years now, trying to find out ways to increase the domestic production of pulses. However, the government must be wary of using this crisis as an excuse to lift an age-old ban on a toxic dal, without adequate scientific clearance and especially without taking the public into confidence. READ NEXT >> CMAT 2016: Why is this Ludhiana farmer's son stumping Indian engineers?